Goddard was born on October 5, 1882, in Worcester, Massachusetts, to a family that encouraged his early interest in tinkering. As a teenager, his imagination was fueled by H. G. Wells’s science fiction novel The War of the Worlds, and he began to dream of creating a machine capable of space flight. In 1899 he decided to devote himself to this pursuit. Even while a student Goddard considered ways of reaching the moon and investigated potential rocket fuels. Goddard received a doctorate in physics from Clark University, Worcester, Massachusetts, in 1911 and began teaching there in 1914. By 1915 he had obtained patents for the designs of a two­ stage powder rocket, a cartridge loading rocket, and a liquid ­fuel­ burning rocket. His experimental results indicated that use of liquid oxygen and liquid hydrogen would propel rockets with greater energy efficiency and higher exhaust velocity than previous models. He was the first to fire a rocket in a vacuum, which demonstrated that rocket engines could operate in the upper atmosphere. Working for the United States military during World War I, Goddard devised single ­charge and multiple ­charge recoilless rockets. In 1919 he published a paper that outlined his research results and rocketry theory in general. The paper was widely misinterpreted because the media presented it as a fanciful discussion of a theoretical “moon rocket,” and Goddard, embarrassed, shunned publicity thereafter. In 1921, with funds from the Smithsonian Institution, Goddard focused his experimental work on rockets using liquid propellants and devised fuel pumps and special combustion chambers to employ this promising fuel source. After several failures, he successfully launched a rocket on his aunt’s farm near Auburn, Massachusetts, in 1926, but it did not go far. Goddard continued to refine his designs of liquid­ propelled rockets, and in 1929 he launched the first rocket to carry camera ­recorded instruments. This success attracted money from philanthropist David Guggenheim, so that the following year Goddard was able to develop an advanced rocket ­testing program near Roswell, New Mexico. He invented systems of gyroscopic steering and propellant ­cooled combustion, which in 1937 resulted in a rocket that reached an altitude of three kilometers (the greatest altitude his rockets had achieved). Goddard joined the Naval Engineering Experimental Station at Annapolis, Maryland, in 1942 to develop defense­ related rockets for use in World War II, but the war ended before any of his designs had completed testing procedures. He died in Annapolis on August 10, 1945. 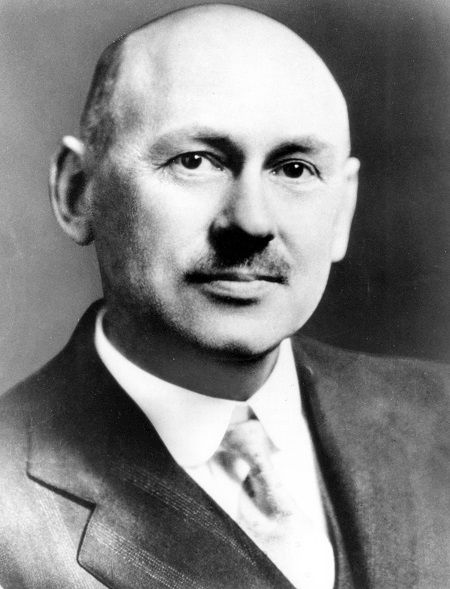 Goddard’s research laid the foundations of rocket design and development, improving air travel technology and making space exploration possible. His 214 patents covered nearly every aspect of liquid­ fuel rocketry. Improvements to aircraft engines represented the first practical applications of Goddard’s research. He helped develop jet­ assisted take­off devices and variable thrust motors; the latter provided the power for the Bell X­2 rocket plane, the first craft in the United States to have a throttled engine. His single­ charge recoilless rocket served as the prototype for the bazooka used against tanks in World War II. Much of Goddard’s research was inaccessible to his contemporaries because he worked mostly alone and was reluctant to publish his findings in journals. Other rocket engineers of the time had to develop their own ideas, without the benefit of his experience and insight. After World War II, the United States government relied heavily on German expertise in the establishment of its rocketry program. However, by 1960 Goddard’s contribution became more widely recognized, and the government awarded his widow one million dollars for the right to use his patents. She gave half the payment to the Guggenheim Foundation whose founder, David Guggenheim, had supported Goddard in his early work. Rocketry revolutionized space flight. Liquid propellants, first introduced by Goddard, have been used in most subsequent space vehicles; rockets provide Life off and booster thrust in every modern craft that leaves Earth’s atmosphere.